Steve Feltham – Nessie Hunter » Charlotte Robinsons Nessie photo. I had a visit here at Dores yesterday morning from the Robinson family from Leeds. 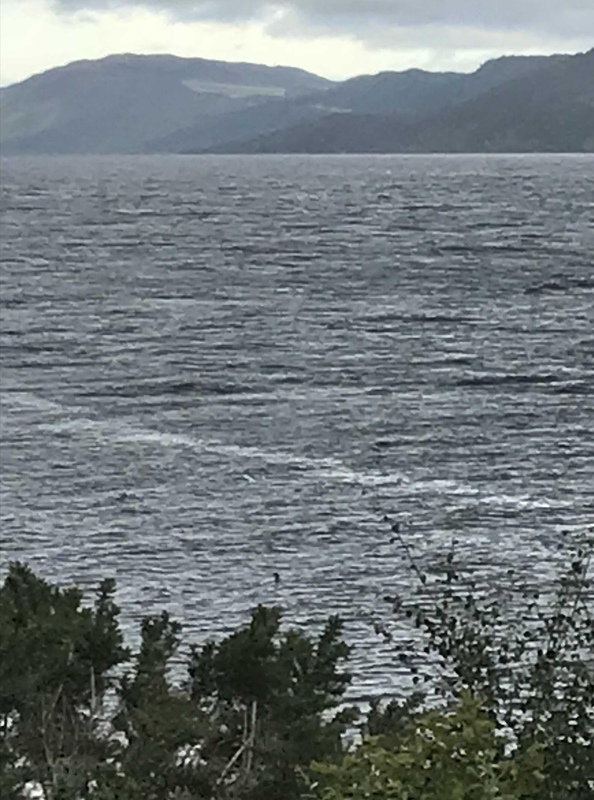 Turns out that last Friday, (17/8/18), they arrived at Loch Ness for a week long holiday staying on the shore of Loch Ness. Barely had they unpacked and settled in when young Charlotte, aged 12, came rushing in saying that she had just taken a photo of the Loch Ness Monster. At first her parents just laughed, but when they took a closer look they reolised that there was indeed what appeared to be a neck in the image. The next day they showed it to a local, and were duly sent alone to Dores to show me. It’s quite interesting as it happens because for the first time in quite a considerable while there is actually a solid object in the water, in the picture. Something that hasn’t been the case with nessie photos lately. Waves, boatwakes and blobs of mud on windows being what has counted as the “latest amazing photo of Nessie”. The Internet being the perfect spawning ground for the publication of everything and anything claiming to be a picture of the Loch Ness monster. It may turn out that Charlotte’s picture has a mundane explanation, it certainly looks roughly similar in size and shape to a seal. Seals being infrequent visitors to the loch . It’s not unknown for a seal to be seen 35 miles inland at Fort Augustus, the one that I filmed in 1991 which is in my Video Diary being a good example….. so good an example infact that for the last 20 years that bit of film has been used by the Official Loch Ness Exhibition as proof that seals do enter the loch. This happens relatively rarely though, maybe once every four or five years, and I haven’t heard any reliable accounts of one being seen for at least two or three years. The thing that makes it exciting is that as yet we do not know for sure what young Charlotte has photographed, so until further notice it will remain what I consider to be the best photograph in recent years of something unidentified in Loch Ness. Well done Charlotte. (On day one of your holiday) well done. Here is just one of the many articles online today discribing Charlotte’s sighting….